Independent Aquarius loves freedom, and you need a career with room to express your individuality. Entrepreneurship was made for your sign! At the same time, Aquarius is the sign of groups and teams. You work well in an office environment, provided it's not too strict of a setting. You rebel under the supervision of anyone bossy or controlling. You're best either leading a team, or working in a position that gives you lots of breathing room. Most Aquarians make great salespeople. With your gift of gab and hilarious jokes, you can sell just about anything. Like Aquarius Oprah Winfrey, you genuinely love interacting with people, and you're naturally curious about everyone. It's not uncommon for Aquarians to become personal friends with your clients. Commission-based jobs don't faze you. In fact, you rise to the challenge. Cold calling, which other signs dread, is a breeze for outgoing Aquarius. You have no trouble picking up the phone and dialing a total stranger. Aquarius is also a competitive sign. When a sales bonus is involved, you just turn on the charm and start selling! Your quirky brain loves to solve problems or find your way out of a difficult spot. You make a great advertising copywriter, and with your futuristic bent, you could be a scientist or an inventor. Aquarius rules electronics, so you may work with computers or telecommunications. As the sign of popularity, your natural likeable-ness could bring fame, as it did for Aquarians Jennifer Aniston, and Justin Timberlake. Public relations is another great gig for you. 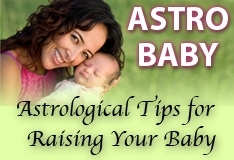 Aquarius is focused on the future, and that often leads you to work with future generations. You love kids, and with your team spirit, you make a great teacher or coach. As the zodiac's humanitarian, you want to make a lasting difference for the people around you. As the sign of the rebel, you understand childrens' need to assert themselves, and encourage them to express that. Entrepreneurship appeals to your free spirit, but you can be impatient and sloppy with details. If you open your own business, team up with a Capricorn or Virgo. These grounded earth signs will handle the mundane administrative tasks you hate. Make sure you have a good lawyer and accountant, since you like making deals on a handshake. You're at your best selling people on your vision or product, so no need to waste your time on anything else. Make sure you're having fun, expressing your creativity and keeping everyone entertained. As long as you're making people laugh or think, you're in the right line of work!